Edward Barrett has more than 10 years of telecommunications experience working with carriers and local communities. 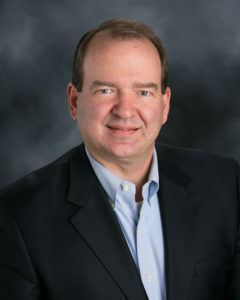 He currently serves as the Practice Leader of HR Green’s Fiber and Broadband Services national service line. In this role, Ed has worked with clients ranging from the smallest of small towns to million-plus-population urban counties who are studying broadband as a way to enhance the lives of their constituents and grow into the Gigabit Economy. He has helped small rural electric cooperatives and large investor-owned utilities to create paths to smarter grids and explore strategic alternatives. Ed and his team have helped the developer of a 10,000 home planned community creatively plan for enhanced communication, 5G and smart city solutions… before the first shovel of dirt was turned. Through all this diverse work, Ed’s passion has been to build communities and improve lives by developing and executing solutions molded to the Vision of his clients. Ed has spoken to numerous organizations on the implications of fiber and broadband services including presentations to the Alliance for Innovation, state Municipal Leagues, the American Publics Works Association and various conferences. He lives in Cedar Rapids, IA and in his infrequent spare time enjoys a round of golf and spending time with his wife and five children ages 2 to 20.